Knitpro have been creating new ranges with some frequency, but I've been especially looking forward to these - They're called Zing, a lightweight metal needle with metallic colouring. 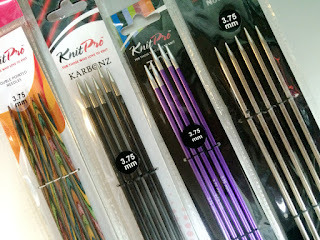 Yes, they look like Signatures but these are reasonably-priced - somewhere between Knitpro's Nova and Symfonie ranges. My first impressions were that the colours look great. 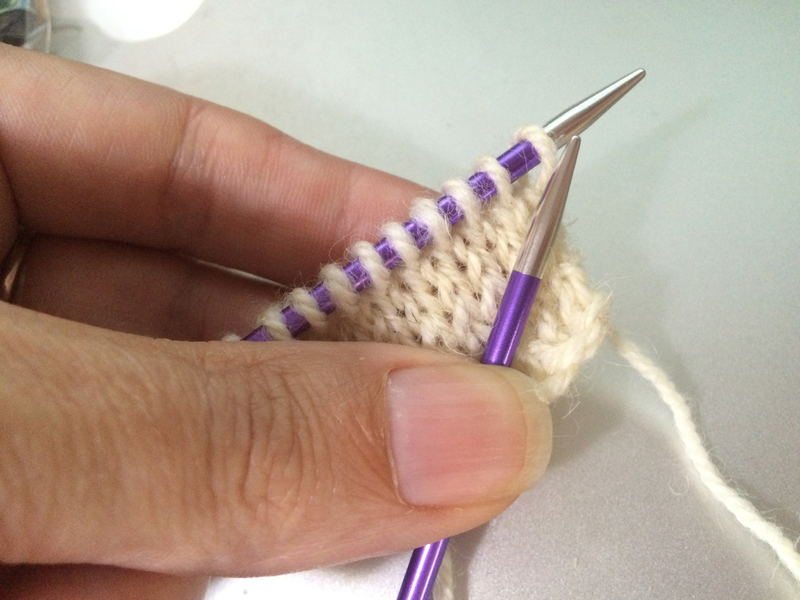 But are the points more rounded than the Knitpro's we're used to? A visual comparison says yes, slightly. 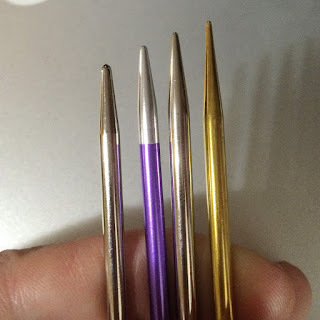 Here's a comparison of the same diameter needle, arranged by sharpness from L-R - Addi's regular (Turbo or Premium), KnitPro Zing, Knitpro Nova and Addi lace. But sharper doesn't mean better, it's a personal preference. So the big question (because this is what you'll be doing with them) is how do they feel to knit with? The points are perfectly fine, I do like a sharp point but had no trouble with these at all. 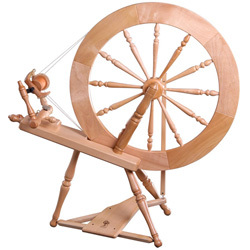 The finish is more of a satin finish than the slippy polished finish of the Novas which again is down to preference and the material you're knitting. They felt nice and friendly in the hands. Lightness? It's difficult to tell just from holding them, but here are the results according to the sensitive scales. L-R, lightest first, Symfonie, Karbonz, Zing and Nova surprisingly out on the heavy end. Being hollow, I didn't expect them to outweigh the others. I found your review very helpful. 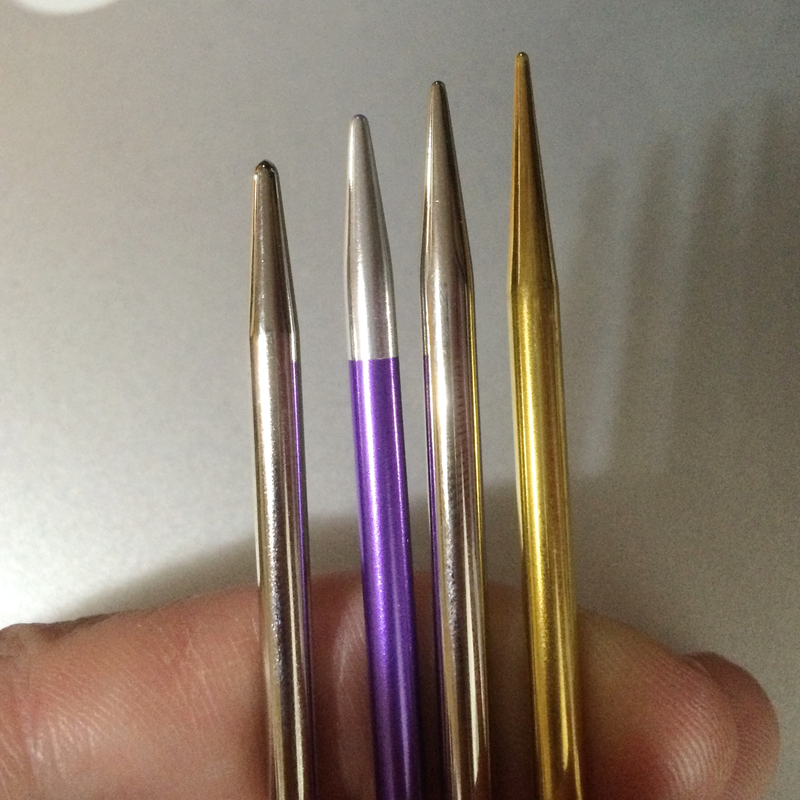 I am interested in getting a set of DPN and am interested in ordering form the Uk and getting the zings.